This photo shows the Wawa at 12th and Market streets. Wawa announced it will be hiring new employees at all 840 stores this spring. If you're on the hunt for a new job, Wawa discounts – and some stock options – could be in your future. All of Wawa's more than 840 stores will be on a hiring spree during the next three months, with the company looking to hire a total of 4,000 new employees between now and the start of summer. 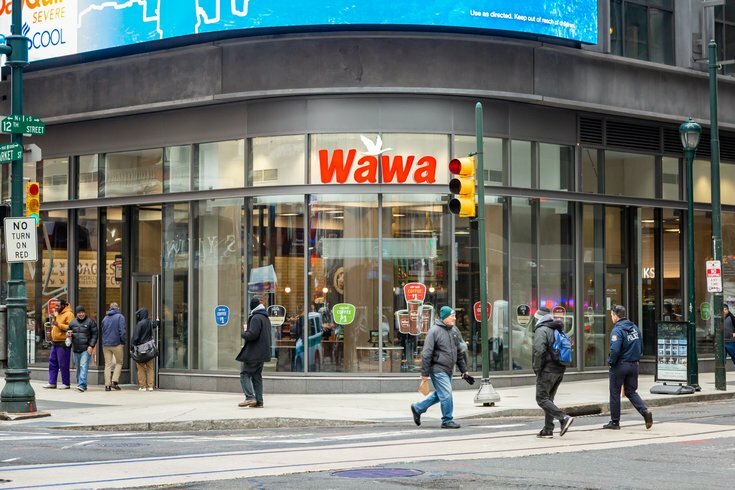 Wawa announced its spring hiring campaign Monday, saying the convenience store chain is seeking to fill both customer service and management-level positions. Though all locations reportedly will be hiring, many New Jersey stores down the shore, as well as several Wawas in Delaware, will host hiring events for interested candidates. For those who end up working at Wawa, you can expect 401(k) benefits, employee discounts, stock options, health care benefits, and, if you stick around for a full year, PTO accumulation. The first hiring event is Wednesday, March 27, at more than 20 stores in New Jersey, Delaware, and Maryland. The second will take place Wednesday, April 17, also at more than 20 stores in those same states. If you're planning to attend a hiring event, Wawa suggests applying online first. See Wawa's full list of hiring event locations and other details here.